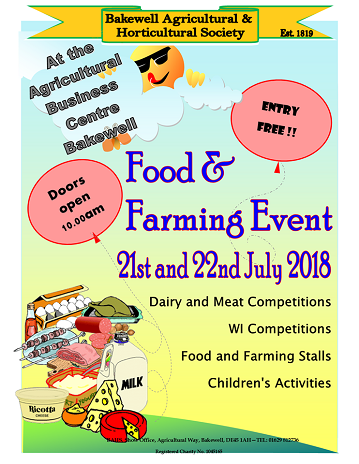 A new venue for our competitions this year - The Agriculture Centre at Bakewell. There was no Bakewell Show this year and we were offered the new date and venue instead and what a great event this has turned out to be! Below are a few images posted by Barlow Newbold and District WI which give a flavour of the two day event. Entries for the 2017 Huxley Cup. Congratulations to Karen Wakefield from SFWI : Staffordshire Federation Women's Institutes for winning this prestigious competition, also to Sheila Williams from Berkshire Federation (2nd place) and Joyce Valentine, Worcestershire Federation (3rd place). All the entries were beautiful, the photographs in no way do them justice. A very wet event this year - but fun and laughter were still in abundace in the WI marquee. The photos taken are in no particular order but do give a flavour of the event. Photos taken in the Derbyshire WIs marquee - what great skills and talent we have amongst our membership. Well done everyone thanks for taking part.